Well this was a fun little treat! 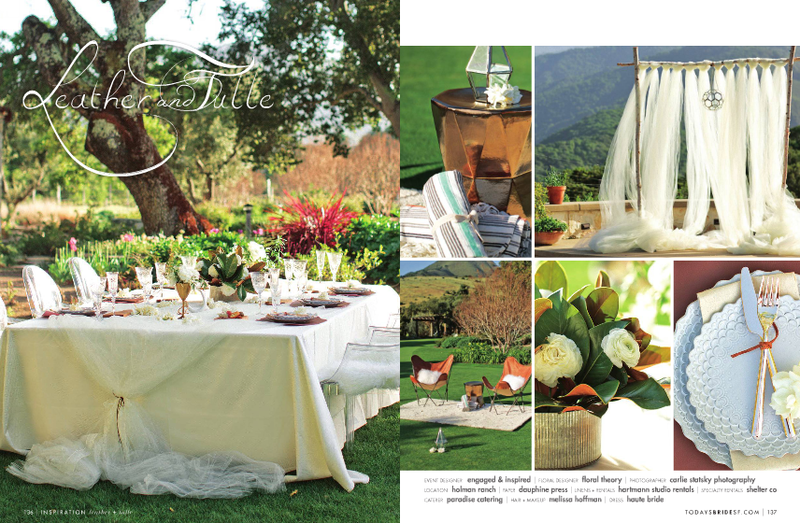 Our Leather + Tulle shoot that we did last year was featured in the latest issue of Today's Bride. We had a crazy awesome team for this shoot! Check out the credits below! And see the whole thing on 100 Layer Cake as well.